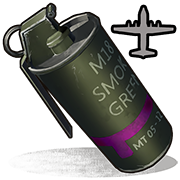 A purple smoke grenade that calls in an airdrop somewhere in a small radius around it. 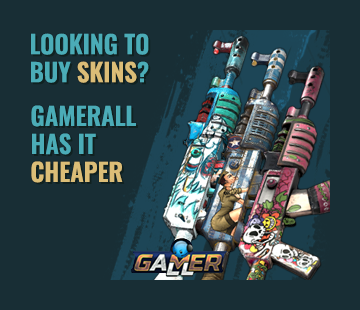 Can be found rarely in Military and Elite Crates. You hate someone? Throw these into their base. You want action, throw it somewhere close by. You want distract people from the helicopter, throw this one. You hate everyone, grap some ladders, get some diving suite and climb up a ice block in the water, where no one lives. Throw it there and get sniped. You probably don't want to signal an airdrop onto your base because it causes you to get raided.